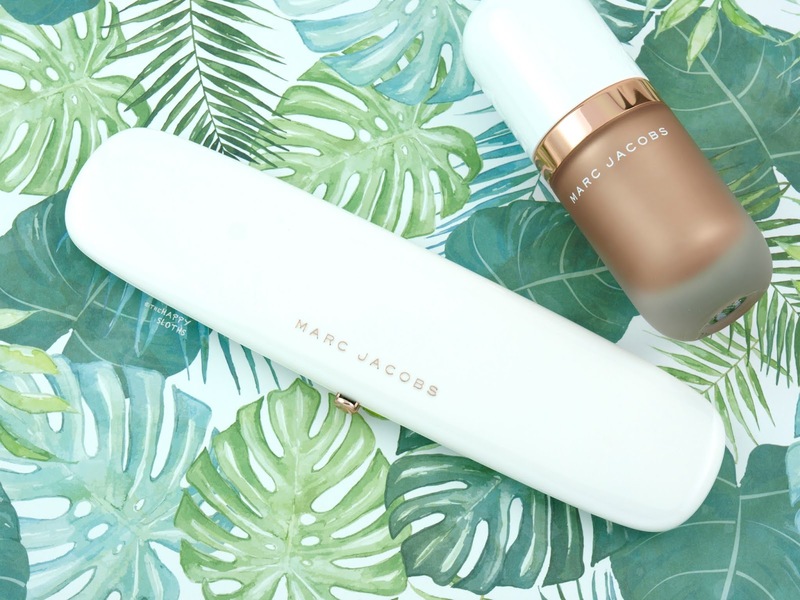 Marc Jacobs Beauty | Dew Drops Coconut Highlighter in "52 Fantasy"
A new and limited edition of the Dew Drops Coconut Gel Highlighter (see my post on the original "50 Dew You?" 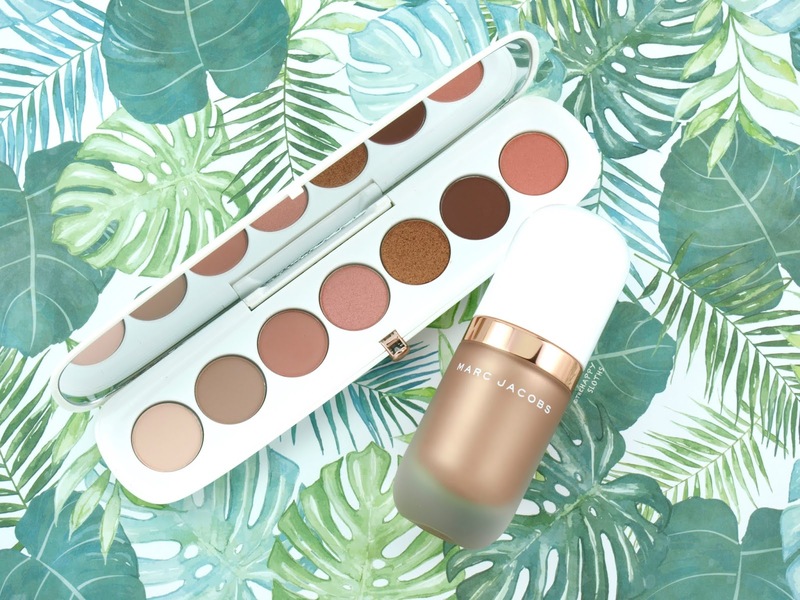 shade here), this is a beautiful liquid highlighter formulated with coconut water, coconut milk, and coconut-derived alkanes and polysaccharides. Infused with a subtle but sweet coconut scent, "52 Fantasy" is a bronzey rose gold shimmer with an almost metallic finish. The color is a bit too dark for my fair complexion (I'm an NC 15) but I think it would look gorgeous on those with olive to darker skin tones. The formulation is super concentrated so just the tiniest bit provides a noticeable sheen. There are no chunky sparkles or shimmers so the finish is perfect for those that prefer a more sophisticated glow. Despite being very pigmented, the highlighter is easy to blend. If you want only a subtle glow, a tiny pin-sized dab will give you the right effect. The highlighter does set to a fairly transfer-proof finish so the wear is very impressive. 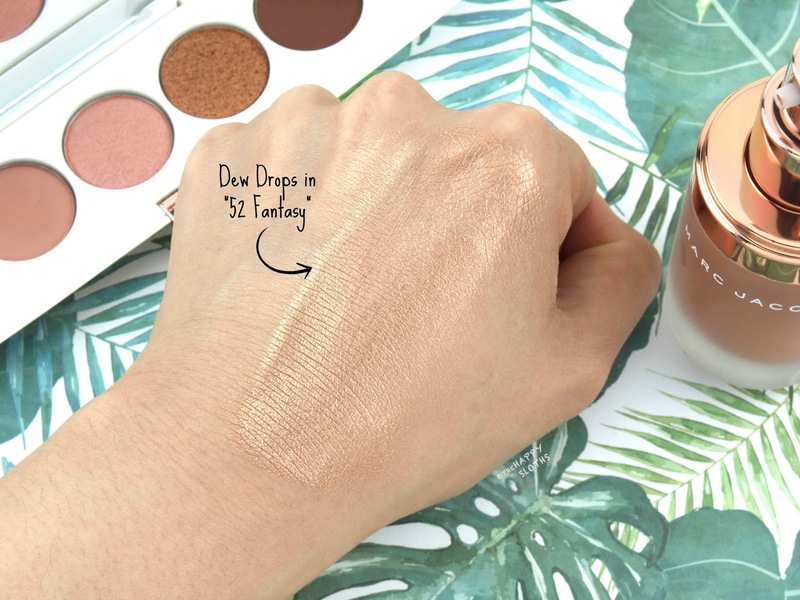 Overall, if you like a bronzey highlighter, then "52 Fantasy" is a great option! 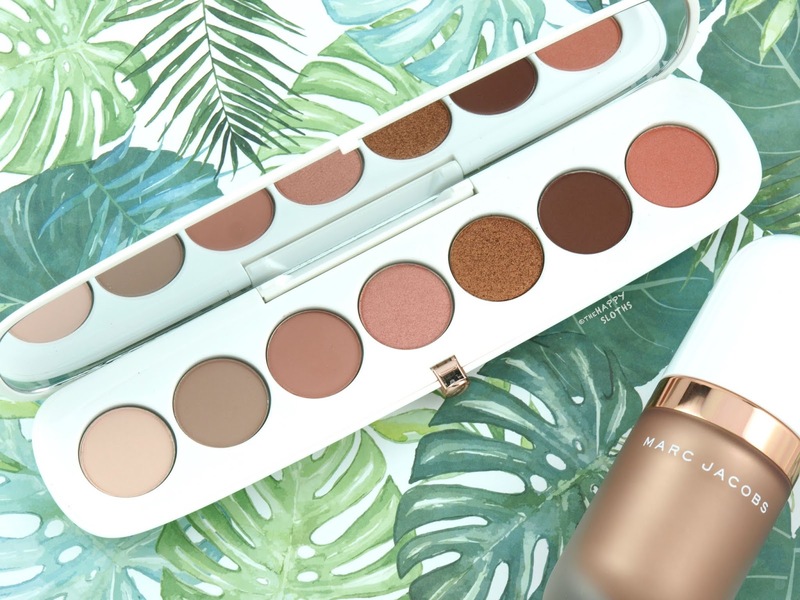 Marc Jacobs Beauty | Eye-Conic Multi-Finish Eyeshadow Palette in "790 Fantascene"
Housed in a special, all-white compact, this limited edition Eye-Conic Multi-Finish Eyeshadow Palette in "790 Fantascene" offers a beautiful array of rosy, bronzey neutrals. There are three mattes, one metallic, one shimmer, and two satins. 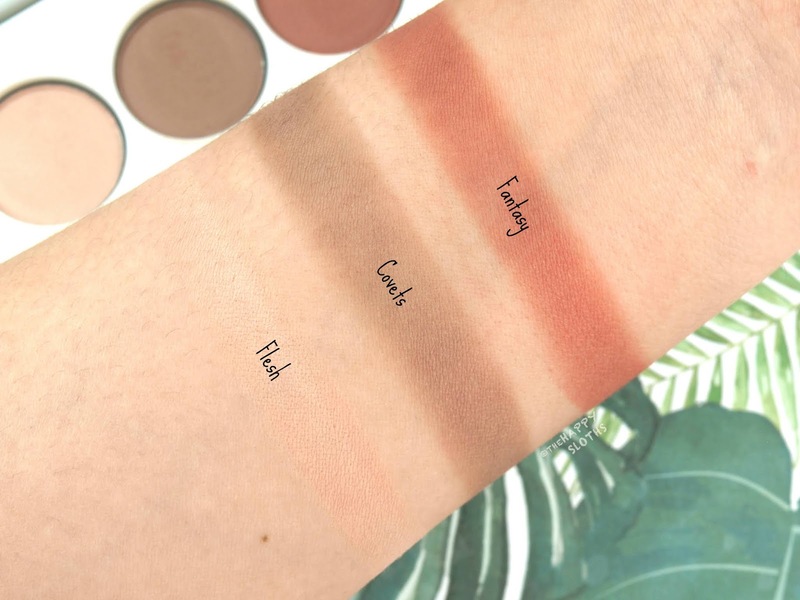 The overall formulation is very impressive as even the mattes are creamy and nicely pigmented. See below for a breakdown of all seven shades. The color scheme is very harmonious although it's pretty similar to many other palettes on the market right now. A simple search for popular eyeshadow palettes on Sephora brings up at least four to five palettes (ex. Urban Decay Naked Heat, Too Faced Just Peachy Mattes, Huda Beauty Obsessions Eyeshadow Palette) with similar peachy neutral offerings. Nevertheless, both in terms of packaging and formulation, the palette is worth investing and collecting. Flesh: This is a matte creamy beige. The pigmentation is sheer but buildable and the shadow has a soft and silky texture. Covets: A light matte taupe, Covets is a great transition shade. The pigmentation is okay but the application is even and smooth. 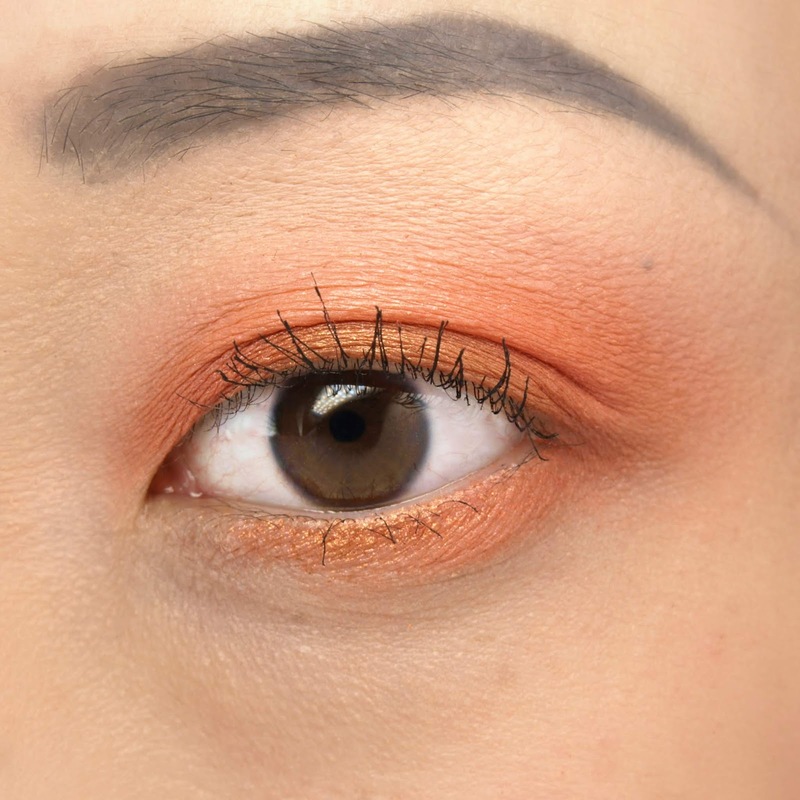 Fantasy: This is a muted, dusty matte peach. Similar to the previous two, the pigmentation is not super intense but the application is buildable and non-patchy. She Said: This is a light peachy pink with a subtle gold shimmer. The formulation is rather sheer and difficult to build but the texture is rich and creamy. Meet Ya: An intense metallic copper, Meet Ya is a little fallout-prone but buildable to a super stunning sheen with an opaque finish. For More: A satin-matte warm chocolate brown, this is a great crease and outer corner color. The formulation is pigmented and creamy. On The Dance Floor: My favorite out of the seven, this is a unique orange satin with a subtle pinky-gold sheen. The formulation is nicely pigmented and very silky. Here is a look I did using the "790 Fantascene" palette. I applied "Flesh" on the inner corner and brow bone as a highlight and used "On The Dance Floor" as an all over color. I used "Fantasy" as a transition shade and dabbed some "Meet Ya" in the center of the lid. Finally, for the lower lashline, I use a bit more of "Meet Ya" and blended it with some "On The Dance Floor" for a monochromatic look. 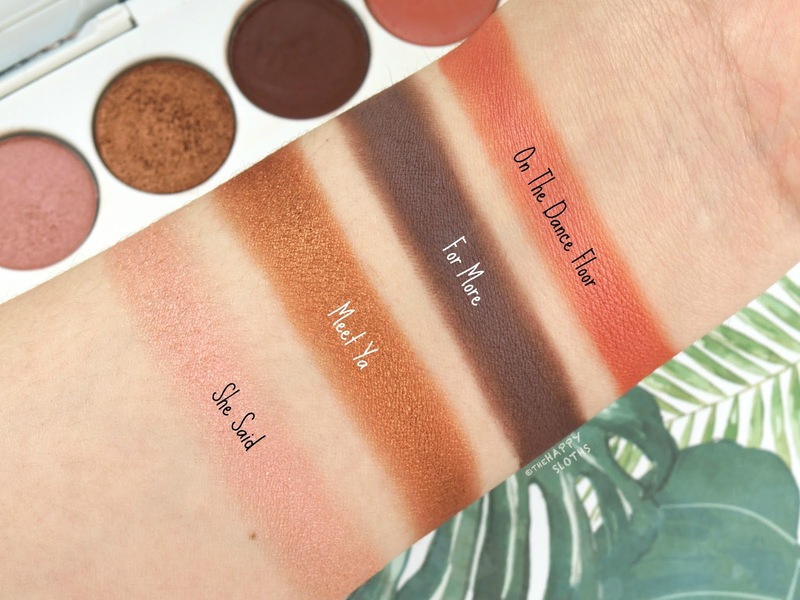 As you can see, the shadows build very well in terms of pigmentation and they blend just like a dream! 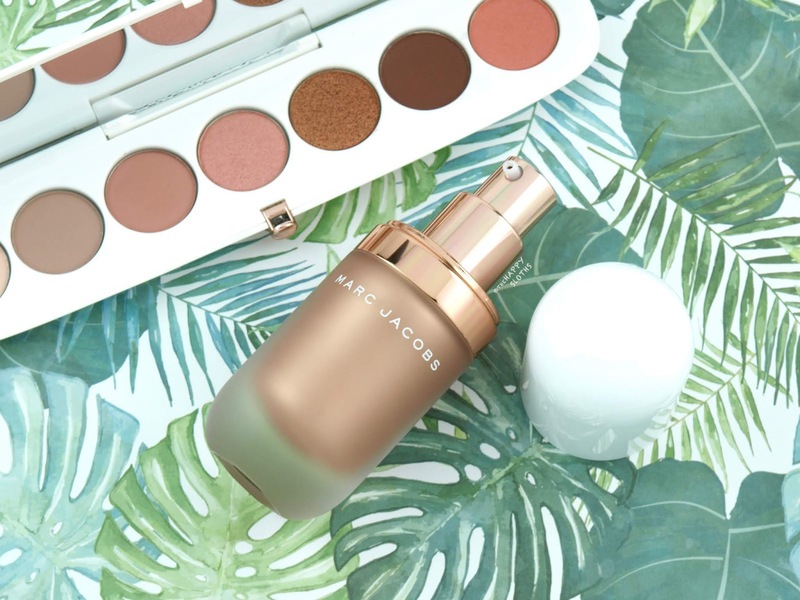 Have you spotted the Marc Jacobs Coconut Fantasy Collection in stores? Will you be picking up any of these limited edition pieces? Share with me in the comments below!